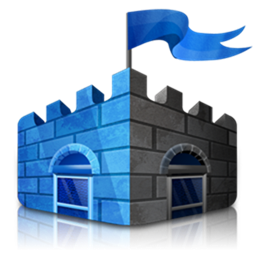 Microsoft Security Essentials Updated To v4.0 – Download Now! It’s certainly been a busy last few days for Microsoft. After showcasing the impressive cloud service SkyDrive, as well as announcing the Release Preview of the Windows 8 OS, Microsoft’s Security Essentials package has been updated to version 4.0, and is now ready for download. While it has been a great last few months for the Redmond-based software maker, it hasn’t been so dandy for those trying to arm themselves against malware. An abundance of fake apps have plagued Google’s Android, while the proclaimed safe haven that is Apple’s OS X ecosystem has struggled to shake off the Flashback Trojan still prevalent on scores of Macs. As a user of Microsoft’s free security suite, it it pretty watertight, and since adopting it, I’ve never had a problem with viruses. Now at version 4.0, the new version offers some alterations to the Automatic Remediation feature, which quarantines any suspicious software without the need for user intervention. As well as that, the user interface has been tweaked and enhanced, and there are, of course, the usual supply of bug fixes and improvements to performance. It was released in beta way back in December, and after writing to beta testers and notifying them the testing period was up, the final release of version 4.0 is now upon us. It has yet to make an appearance on Windows Update for the masses so far, although a Microsoft official has apparently confirmed to ZDNet that the update will begin pushing through to existing users. If you don’t already use Microsoft Security Essentials, you can also grab it from Microsoft’s Download Center and manually install it on any PC running Windows XP, Vista, or Windows 7. Security is often something taken for granted when using PCs, Macs, tablets or smartphones, but as the past couple of months have shown us, there’s no room for complacency. Antivirus packages aren’t just a gimmick, and can protect your sensitive files and data from falling into the wrong hands. As the Microsoft Security Essentials prove, one doesn’t need to spend big in order to better protect a computer from the malicious software floating about, and there are plenty of other reputable and free tools out there to help prevent you from being a statistic in the next major outspread.